Make any signed corner melt through a glass bottle. Imagine this. 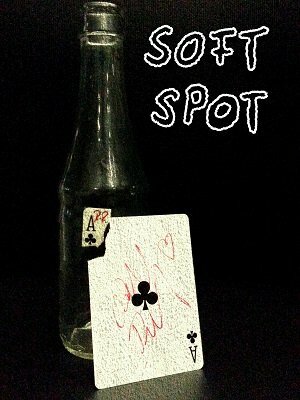 You show a complete empty glass bottle (real glass) and make a signed corner from the label of the bottle, playing card, banknote, business card etc. melt through the glass - only by a small wave of your fingertips. It's really inside the bottle! No magnets, no slits, no trapdoors and no duplicates. 1st edition 2016, length 20 min. Ralf Rudolph (Fairmagic) vary clear instructions for construction of gimmick and performing tips and hits value for money 100% This is one not to be missed as it has endless possibilities only restricted by ones own creative mind.